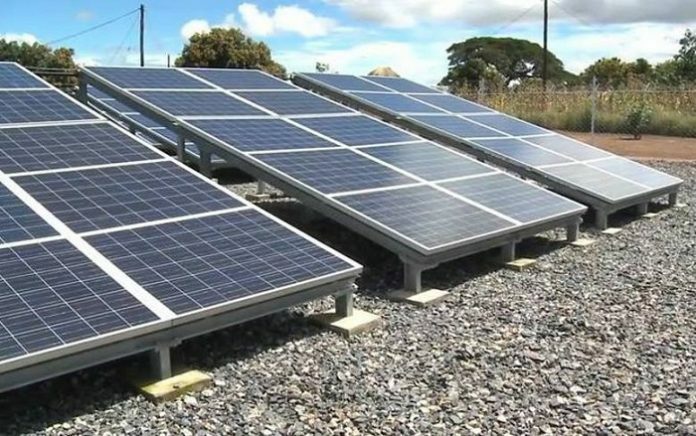 A 100MW Solar PV tender has been launched in Zambia by The Zambian Ministry of Energy and the GET FiT Zambia Secretariat. Request for Proposal (RfP) stage of Round 1 of GET FiT Zambia was officially announced. Shortlisted companies and consortia which successfully pre qualified under the first stage have been invited to submit their proposals by 29 November 2018. The ten shortlisted companies or consortia were selected following a competitive Request for Qualification which concluded in June 2018. During July and August 2018, GET FiT Zambia partnered with the Zambian government and ZESCO to finalize standardised project agreements and assess the proposed sites to ensure that grid capacity is sufficient to connect the Projects presented at a given location. The 10 shortlisted firms include; Building Energy S.P.A, EDF Energies Nouvelles, Enel Green Power S.P.A., Engie Afrique S.A., Globeleq African Holdings Ltd & Aurora Power Solutions, InnoVent SAS & Copperbelt Energy Corporation Plc, Mulilo Group Holdings Proprietary Ltd, Phanes Group, Scatec Solar ASA and SolarReserve Development Co. Finances will come from the German Government which is providing funding in support of GET FiT Zambia. Conclusion of the process will be in early 2019 based on a thorough evaluation of technical and financial criteria. Applicants selected for award will sign a 25-year Power Purchase Agreement with ZESCO to deliver low-cost clean energy to the country. GET FiT Zambia is a programme jointly developed and implemented by the Ministry of Energy of the Government of the Republic of Zambia and KfW Development Bank. How many of these EPC businesses originate from Africa?